As a Mendeley user, you might already be familiar with the Citation Style Language (CSL). This open source project, created by Bruce D’Arcus from Miami University, and run by a small team of volunteers, has become quite popular in recent years. CSL is currently used by over 20 software products, and there are over 6750 freely available citation styles for thousands of scientific journals. And CSL has a long history at Mendeley: since our first release in 2008, Mendeley has been using CSL styles to format citations and bibliographies (from 2010 onward, we also have been using the open source citeproc-js CSL processor by Frank Bennett of Nagoya University). Over the last few years, Mendeley has moved away from simply using CSL and become one of its biggest contributors. 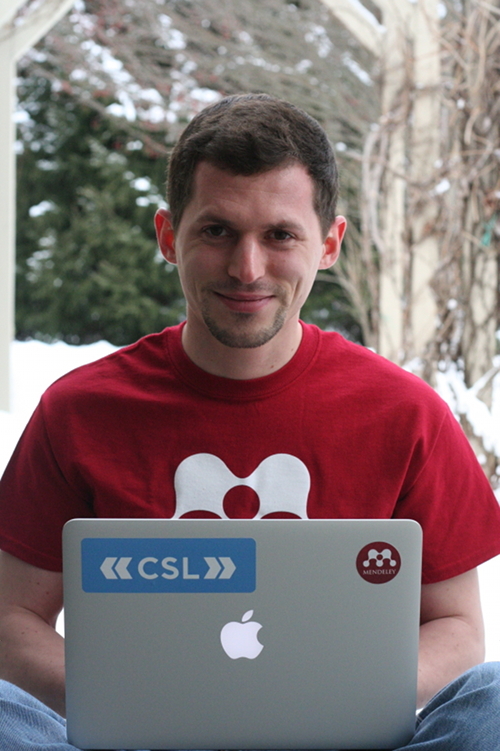 Our very own Magnificent Code Matador, Carles Pina, collaborates with Sebastian Karcher and Rintze Zelle at the CSL project to improve the central CSL style repository, and he helped create CSL styles for 1500 Elsevier journals. We also collaborated with Columbia University Libraries to create the Visual CSL Editor, which was funded by a Sloan Foundation Award and released in 2012. Now we’re increasing our support by, together with Elsevier, making the first major financial contribution to the CSL project. We have made a $5000 donation, and we hope this helps ensure the long-term sustainability of this valuable project. Sebastian Karcher and Rintze Zelle commented that Mendeley is one of the most popular products to use CSL, and that this level of involvement is crucial in helping them move CSL forward. They hope others will follow Mendeley’s lead, and look forward to continue improving CSL, with better support for multilingual citations, legal citations, and archival sources. The CSL project also continues to reach out to publishers to further increase the number of journals covered by CSL styles. Here at Mendeley we’re really proud to support an initiative that helps the academic community with their research. We would also like to hear your experiences of using CSL and what improvements you’d like to see implemented. As usual, feel free to get in touch with Mendeley via the feedback forum, or leave a comment here. Meet our January Advisor of the Month! This is really great news. Many researchers will benefit (including me 😉 when CSL is more actively developed, thank you very much! CSL is a great project and the volunteers who have been working on it have been doing a great job. I’ve had assistance from them on creating new citation styles. So really glad to see you are backing it financially. Hope other commercial products that use it will follow your lead and perhaps collectively you can come up with a way of providing regular donations (fairly shared with the other commercial products).